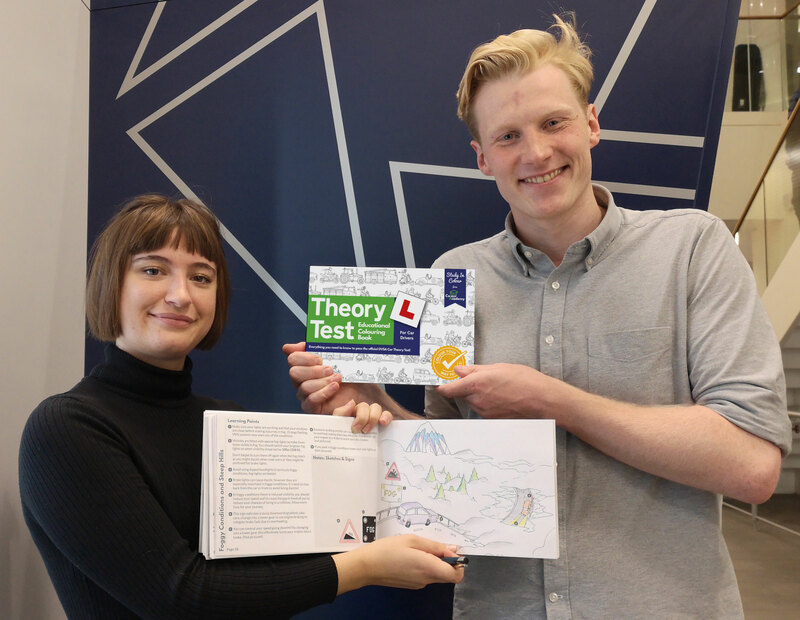 We know Katie pretty well, but we thought we’d sit down with her so you can find out more about her, what her theory test tips and what’s her favourite page in the book is. Hi Katie, tell us about yourself and how did you get into illustration? I’m currently doing a bachelors in Architecture in Glasgow. My mum’s an artist, so I have always grown up surrounded by art. I have been drawing ever since I can remember, on literally anything; paper, the walls, stone slabs, on cereal packets, anything I could really. And where do you get your inspiration from? One of my major inspirations is gaming. I love gaming because it’s literally entering another world – think of the lost villages of Jack & Daxter, the universe of Minecraft or the planet of Spyro. I could lose myself in these imaginary places for hours, it’s so cool! I also get a lot of inspiration from Studio Ghibli films, I think they have some truly magical creations and the artwork is incredible. I look up to the likes of Jean Giraud and Sydney Sime – their work gives me butterflies. I want to live in their fantasy worlds. That’s really interesting! How did you get involved in Colour Academy then? I was approached by Matt, the founder of Colour Academy, who was like: ‘Hey, wanna draw this book for me?’ and I was like, ‘Yeah, sure.’ and that was it really. My work usually get’s around through word of mouth, like I have some really proud friends who show other people my stuff which is really sweet. How did you find the process? What was the best part? Seeing the final outcome and feeling proud. Also watching my progress from the first drawing to the last, I think I get a little better each time I draw. 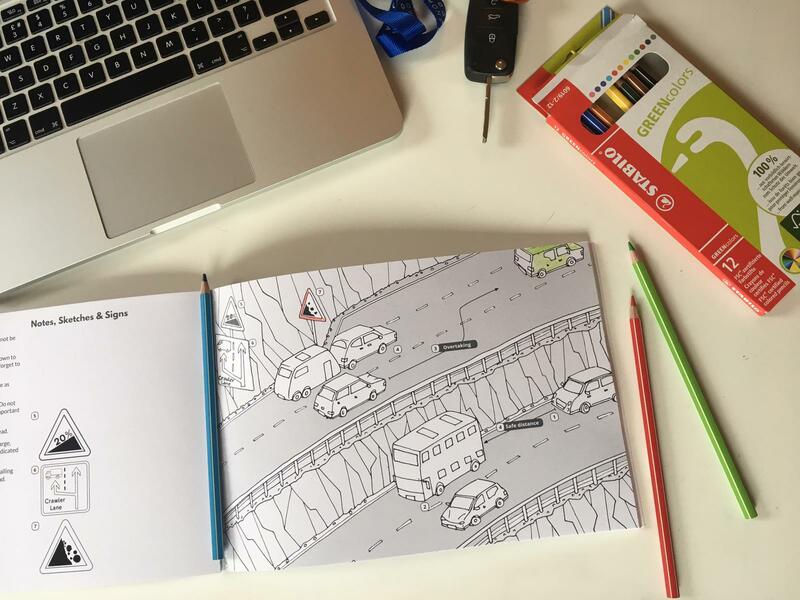 I’m sure you didn’t expect to be drawing so many cars. What did you find difficult about the process? Sometimes my brain can’t draw things to look perfect because I low-key love a wonky line, so I have to force myself to do things right and then I feel frustrated. So I guess my challenges were mainly self discipline orientated. What are your favourite pages in the book? What are your tips for passing the driving theory test?